We’ve heard enough about it for months now. The album will be officially released June 30. 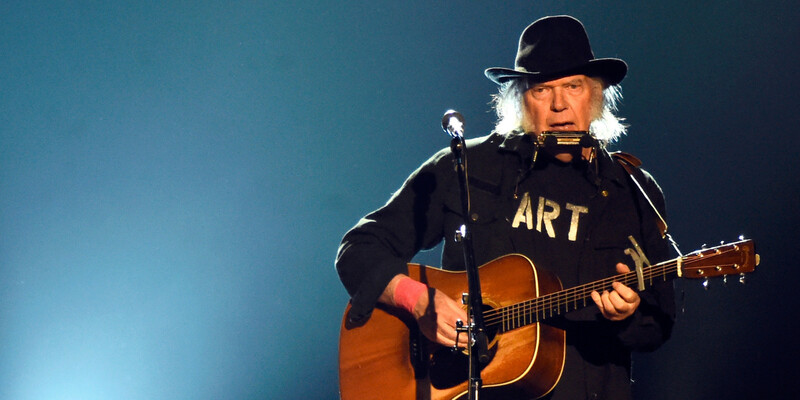 Neil Young used to dig Picasso, but now he is really digging Pope Francis. In a message today, June 19 posted on his Facebook page (https://www.facebook.com/NeilYoung) he lauds the pious Catholic’s take on the world, taking to heart his just released 120-page encyclical. 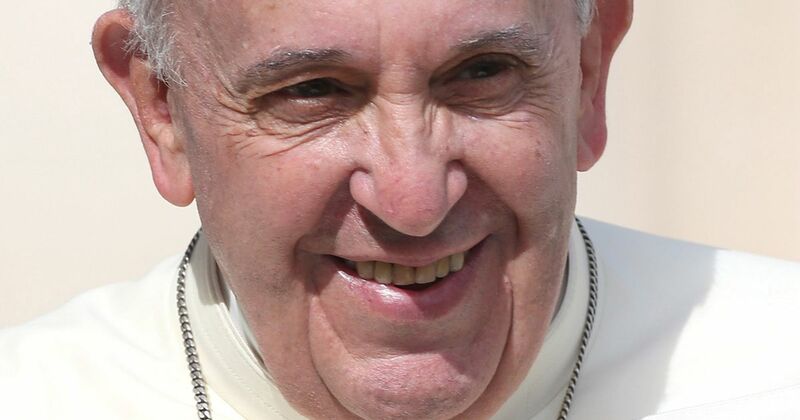 Yesterday Pope Francis released his 120 page encyclical. And fill me with gratitude. His words bring welcome support to millions who yearn to do the right thing and be part of the rescue of our fragile shared home singulair asthma. His powerful message gives me hope that being moved by his call, his followers will help turn the tide by beginning the urgent work of employing solutions that will address the social, economic and environmental crisis we face. I invite all to pause to think about the challenges we face regarding care for our common home. There is a need to seek other ways of understanding the economy and progress. We need only to take a frank look at the facts to see that our common home is falling into serious disrepair. We are learning all too slowly the lessons of environmental deterioration. Whatever is fragile, like the environment, is defenceless before the interests of a deified market. Economic interests easily end up trumping the common good. The present world system is certainly unsustainable from a number of points of view. Climate change represents one of the principal challenges facing humanity in our day. These problems are closely linked to a throwaway culture. The human environment and the natural environment deteriorate together. Developed countries ought to help pay this debt by limiting their consumption of nonrenewable energy. Reducing greenhouse gases requires honesty, courage and responsibility. For indigenous communities, land is not a commodity, but a gift from God, a sacred space. Each community has the duty to protect the earth and to ensure its fruitfulness for coming generations. The world we have received also belongs to who will follow us. Leaving an inhabitable planet to future generations is, first and foremost, up to us. Interdependence obliges us to think of one world with a common plan. There is an urgent need for us to move forward in a bold cultural revolution. There is no room for the globalization of indifference. Let us sing as we go. May our struggles and our concern for this planet never take away the joy of our hope. Yesterday my song “Rockin in the Free World” was used in a announcement for a U.S. presidential candidate without my permission. 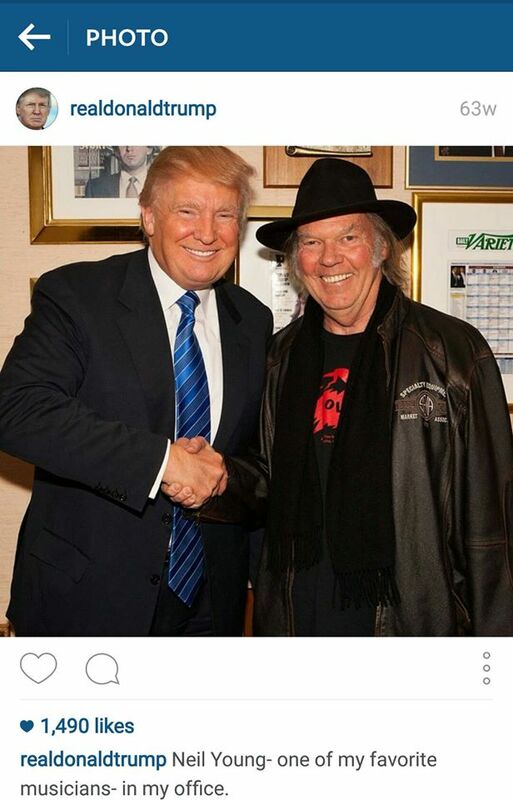 A picture of me with this candidate was also circulated in conjunction with this announcement but It was a photograph taken during a meeting when I was trying to raise funds for Pono, my online high resolution music service. Music is a universal language. so I am glad that so many people with varying beliefs get enjoyment from my music, even if they don’t share my beliefs. 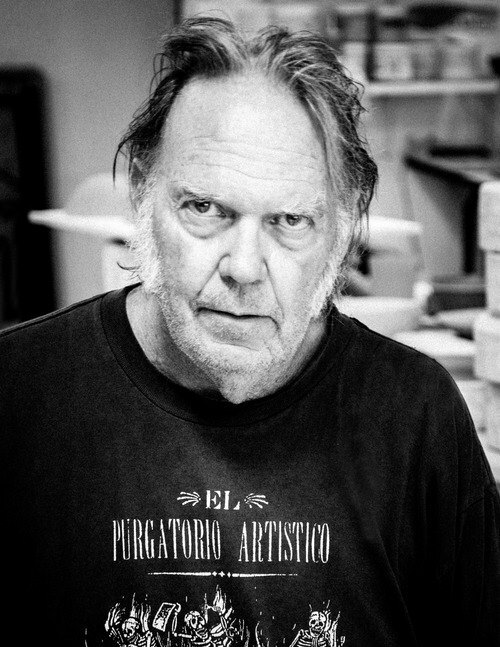 But had I been asked to allow my music to be used for a candidate – I would have said no. I am Canadian and I don’t vote in the United States, but more importantly I don’t like the current political system in the USA and some other countries. Increasingly Democracy has been hijacked by corporate interests. The money needed to run for office, the money spent on lobbying by special interests, the ever increasing economic disparity and the well funded legislative decisions all favor corporate interests over the people’s. The Citizens United Supreme Court ruling is proof of this corruption as well as are the proposed trade deals which would further compromise our rights. These Corporations were originally created to serve us but if we don’t appropriately prioritize they will destroy us. Corporations don’t have children. They don’t have feelings or soul. They don’t depend on uncontaminated water, clean air or healthy food to survive. They are beholden to one thing – the bottom line. I choose to speak Truth to this Economic Power. When I speak out on corporations hurting the common man or the environment or other species, I expect a well financed disinformation campaign to be aimed my way. Such is the case with the reaction to my new album The Monsanto Years, which covers many of these issues. I support those bringing these issues to light and those who fight for their rights like Freedom of Choice. But Freedom of Choice is meaningless without knowledge. Thats why its crucial we all get engaged and get informed. That’s why GMO labeling matters. Mothers need to know what they are feeding their children. They need freedom to make educated choices at the market. When the people have voted for labeling, as they have in Vermont, they need our support when they are fighting these corporate interests trying to reverse the laws they have voted for and passed in the democratic process. I do not trust self serving misinformation coming from corporations and their media trolls. I do not trust politicians who are taking millions from those corporations either. I trust people. So I make my music for people not for candidates. 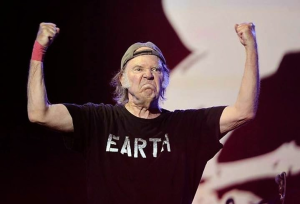 Neil Young and Promise of the Real kick off their North American summer tour July 5th at the Marcus Ampitheater in Milwaukee, Wisconsin.